This is the 8th annual worldwide Open Access Week. Advocates of Open Access want to make scholarly output – research data, articles, textbooks, educational resources – easily available to everyone by removing barriers such as restrictive rights and costly fees. Why not celebrate Open Access Week by finding out more about it? We have three Research Guides that will help you get started on your Open journey, start with our Open Primer. You can also check out some BCCampus open textbooks created by local instructors. 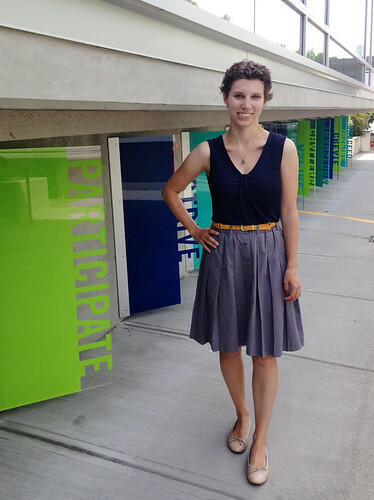 Meet Adena Brons, a UBC iSchool Work Experience Student. Adena Brons is a UBC student in her third year at the School of Library, Archival and Information Studies, completing a Master’s in Archival Studies and a Master’s in Library. She has had some experience with metadata working at New Westminster Archives. Adena currently works part time with AskAway through UBC. Other than libraries and archives, she’s interested in creative writing, cycling and craft beer. Students write essays. Professors create lesson plans. Student associations write newsletters. The people involved in post-secondary education produce essays, reports, lesson plans, photographs, newsletters, theses, and more. Most of this material is never formally published, yet it remains a significant amount of valuable information about the institution’s scholarship, research, activities, history, and community. Many post-secondary institutions are creating digital repositories (or institutional repositories) where this information can be stored and made openly accessible to the public. 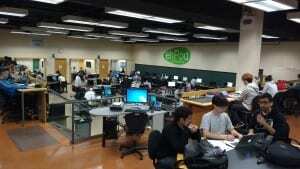 BCIT has it’s own Digital Collections, available through the library. 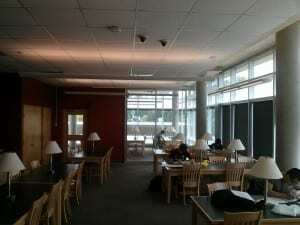 While the community of BCIT has created the content you can see in the Digital Collections, the library works on making that content available and open to the public. An important part of that is metadata. Metadata is often called “data about data” and is all of the information about the resource: the title, date, file format, author or creator, description etc. It’s pretty important because if it wasn’t there, you would not be able to tell what files existed, what their contents were or how to access them. As part of my Masters in Library and Information Studies degree, I worked on an institutional repository project with BCIT librarians to make sure that the existing metadata transfers smoothly when BCIT moves from its current software to a new open source institutional repository (Islandora) platform. Islandora is more robust and will also be used by a large consortia of post secondary libraries in B.C. So if you’re interested in the research being done by the Environmental Health program, check out their Journal. Or maybe you’re researching the construction and renovation of a BCIT building for a sustainability project: there are aerial photographs and construction images from throughout BCIT’s history. 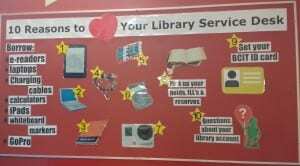 What’s in the Library for International Students? Tutoring: Our tutors are successful students who will have tips and strategies to help you with your academic performance and study skills. The Learning Commons offers FREE subject tutoring, as well as writing and ESL support through the Writing Centre. As BCIT students, you also have access to WriteAway for free online writing help. Study space: We have group study areas, quiet study areas, group study rooms (bookable here) and good ol’ fashioned carrels. We also have the EhPod, which contains a computer lab and group study rooms. It is open 24/7. English practice materials: We have a good selection of materials to support language practice, subject-specific vocabulary, and test preparation. Check out just some of these items here. A couple other useful resources for language development are the Research Guides for ISEP and for the Writing Centre. Research help: New to academic research? Our librarians are available at the Research Desk, on the phone, or by email to help get you on your way. You can also contact them for a personal research appointment. 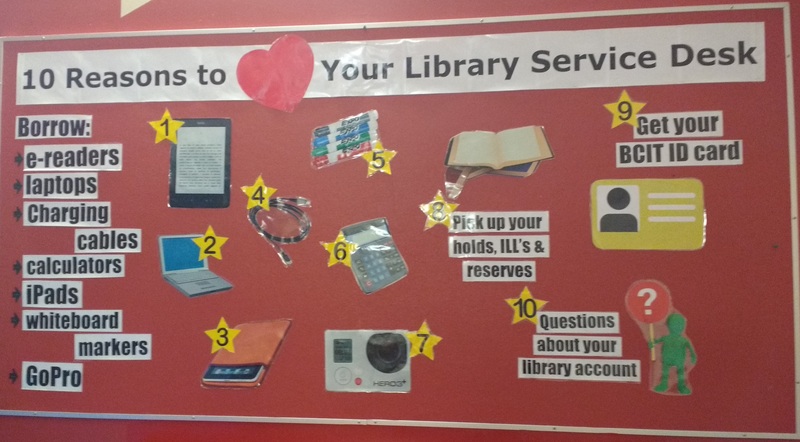 The Library Service Desk offers a range of services including printing (and reprinting) student cards. And if they can’t help you, they will direct you to someone who can!